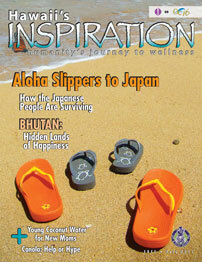 It is our goal to provide the people of Hawaii and the mainland with a resource for learning about holistic life. To gather and present information pertinent to the body, mind and spirit that allows readers to focus on their inner health and spiritual growth. Capture the essence of healers and inspirational individuals who live on our beautiful islands and share their wealth of knowledge and aloha with everyone. Positive reading material is important to a healthy life and community, and Inspiration is proud to be the vehicle of these wonderful works. * Episode premiere time. Each episode runs for two weeks and premieres on Sat. at 7:30pm. 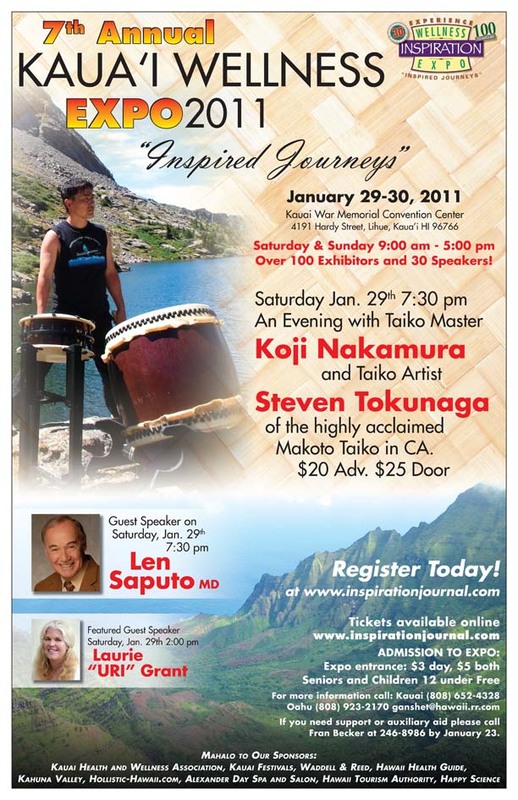 6th Annual 2010 Kaua'i Wellness Expo was a huge success! Wellness Expo 2009, 2008, 2007 and 2006 Highlights. The Kaua'i Health and Wellness Association (KHWA) is a non-profit, membership-based organization that represents all businesses concerned with issues related health and wellness. Open to everyone. KHWA is fostered by a value driven economic development plan: Pono - harmony and balance, Laulima - many hands working together and Aloha - the presence of breath. To inspire proactive change and positive community involvement through a unified voice on health and wellness issues. Join us on the 2nd Tuesday of each month at our Membership meetings. Visit www.kauaihwa.org for locations. Become a member today and support Kaua'i's Health and Wellness Industry- for a healthy Kaua'i!